When a Loudoun County local resident lost her husband suddenly, leaving her with three young children in grade school, a dear friend of hers reached out to My Guys Moving to see if the moving company could help the distraught family downsize to a house in Purcellville, VA.
My Guys provided five guys and two moving trucks to take care of the job in one day. Her husband was active in Leesburg community affairs and will be missed. 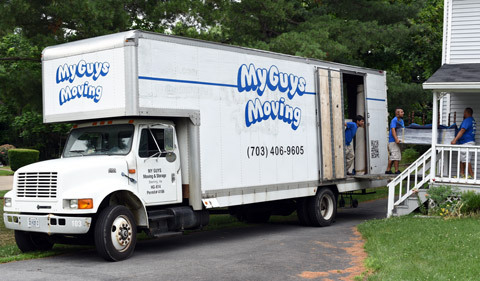 The My Guys moving company that provided the service is located in Sterling, VA.